It has been a little while since I last wrote you a postcard from one of my cross-border rail trips. 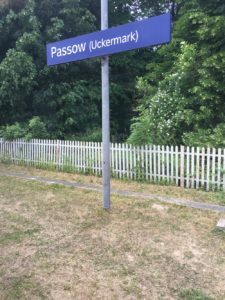 But this week I took a little journey from Berlin to Szczecin / Stettin in West Pomerania in Poland, represented in the European Parliament by Bogusław Liberadzki – who happens to be the EP Rapporteur on Rail Passenger Rights. I thought this trip would be a good moment to remind you of what is going wrong with European cross border rail, and how the European Parliament is derailing things further. Szczecin has more than 400000 inhabitants, is Poland’s 7th largest city, and plenty of people living there go to Berlin to fly as Szczecin’s airport is small. It is only about 135 kilometres from there to Germany’s capital. The rail route between the two cities has a long history – Berlin even used to have a grandiose Stettiner Bahnhof. Then war and the new borders of Poland came along, and then the absence of free travel in communist Europe behind the Iron Curtain. But that is all long ago now, so one would think things were better now? Half the route between these two major European cities is single track and is not electrified. A handful of direct trains ply the route each day – just small diesel multiple units. Otherwise you have to change in Angermünde. The trip takes two hours because the infrastructure is so decrepit. Driving is quicker. 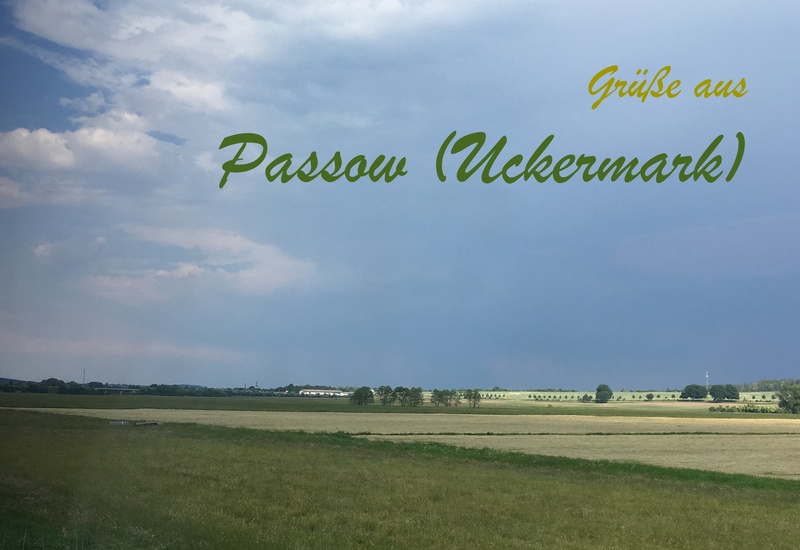 This postcard is from Passow (Uckermark), one of the one-horse towns where the train stops. 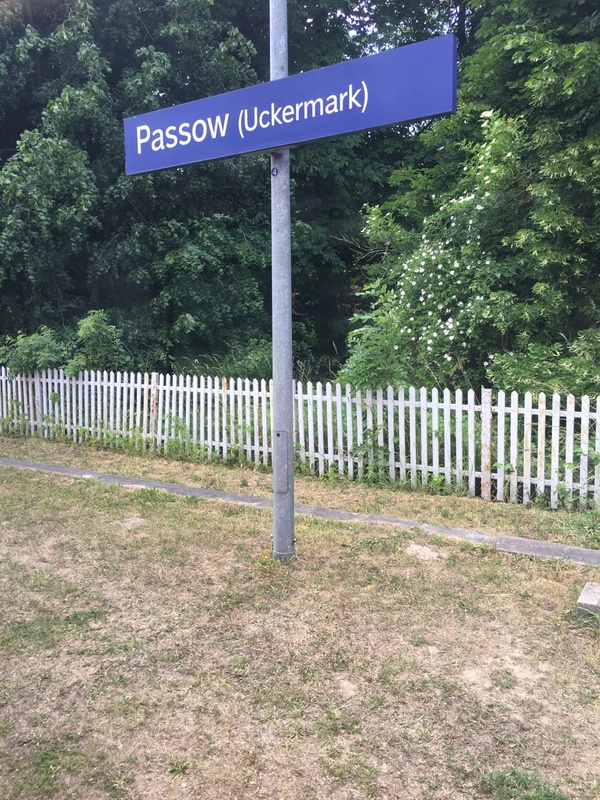 This is so insignificant that the station platform is made of grass. This does not feel like a major route between European cities! And then if you can stomach all of that, then how do you even buy a ticket for this train? Go to a Deutsche Bahn ticket machine and they offer you a price of €22 for a ticket where you have to take a specific train, or €36.10 for a flexible ticket. What they conveniently do not tell you on the machine is that there is a regional ticket you can take that is offered by the local Berlin-Brandenburg public transport authority VBB that costs just €11, dropping to €8.30 with a BahnCard. Not very friendly that this cheap option is not available by default! There’s theoretically a mobile ticket you can use, but that would not work on my phone. And for the return journey there is no option at Szczecin Główny to even buy from a machine; there you have to queue at the ticket office. In short then, Bogusław Liberadzki needs to look no further than the border right next to his region to see the problems of EU-wide rail. So what is Liberadzki and his colleagues in the European Parliament doing? Making things worse as far as I can see. Compromise amendments proposed in the European Parliament happened to be on the station bench in Passow, and so I can post them here. Liberadzki is proposing a definition of force majeure that means no compensation will be paid to passengers in the case of “criminal or accidental acts by third parties”. So if someone steals the signalling cables alongside the line, tough. I’d like to see how a passenger could prove a railway was negligent here and compensation would be paid! All of this also only works if the passenger has a through ticket (one contract), as these amendments show. But what if the rail operator – like Thalys for example as I explain in this earlier postcard – refuse to allow their tickets to be sold in combination with others? And lastly on re-routing in the case of delay, the European Parliament is proposing to narrow a passenger’s rights. It looks to me that Bogusław is even less on the side of passengers than you in the Commission are! 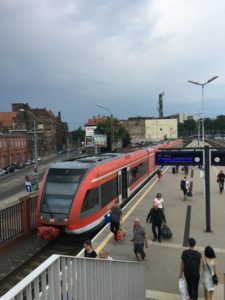 Perhaps all of us ought to take a little trip on the Berlin-Szczecin train to really see what it is like on the ground, rather than being wined and dined by Deutsche Bahn and SNCF in Brussels. Anyway, until the next rail postcard, safe travels! Some comments about the proposed change to the definition of “force majeure”. On the 30th of July, I travelled on train 20442 (SJ X 2000) from Gothenburg to Stockholm. It was supposed to leave at 16.29 and arrive at 19.46. The train departed an hour and a half late from Gothenburg, and was delayed for an additional 45 minutes en route to Stockholm, eventually arriving at around 22.00. Now you ask, was this caused by a force majeure, or was it caused by something else? The authorities record a reason for each delay in an internal computer system, so the train companies can check what the reason was (and you can probably find out yourself by contacting Trafikverket). I have not checked what it says for this particular train, but knowing how they usually record delay reasons, I’d assume that it says that the train was late at Gothenburg Central because the train arrived late from somewhere else (under a different train number) and that it was late at various places because it was delayed by other trains. So, was this delay caused by a force majeure, or was it caused by an error made by the railway company? To find out, you need to look up a number of other train numbers in the database. This investigation takes a lot of resources, and it would maybe be cheaper to simply pay compensation instead of searching for a reason. There are other delay reasons which require people to look at many places to find the real reason to a delay. For example, an international train may be “late from abroad” which requires you to look up the train in another country’s system to find the real reason for the delay. After some investigation, you will find that the real reason was a fire in a signal box in Alingsås, forcing train companies to reroute all trains along a different line as no trains could pass through Alingsås for several hours. So was this a force majeure, then? I don’t know why there was a fire in the signal box. If a vandal started the fire, then it would count as force majeure. If the reason was bad maintenance of the signal box (or an error by a maintenance worker), then it would probably not count as force majeure. One could also argue that the delay was caused by bad planning and that SJ should have had a few extra trains in Gothenburg so that SJ wouldn’t have had to wait for trains arriving from elsewhere. That would require buying extra trains (or reducing the number of trains running concurrently), which wouldn’t be economically sane. I think that it’s a lot easier if it is unambiguous if you are entitled to compensation or not. If it’s difficult to establish if you are entitled to compensation or compensation, then a lot of cases will have to be taken to court to discuss the reasons behind the delay, and lawyers cost a lot. People might not dare to go to a restaurant or book a hotel room as they won’t know if the railway will reimburse them for their costs. Thank you, an excellent description of a non-excellent train-service. What makes it even more sad: there is a huge passenger potential between Poland and Germany. There are numerous mini buses on the autobahn who bring hundreds of workers across the border (and back again) every day. But train companies are simply not interested in these people.